The three most import factors in selling your home are Price, Condition and Marketing. That is why I design and implement a comprehensive marketing program that leverages all of the avenues available for each and every one of my clients. 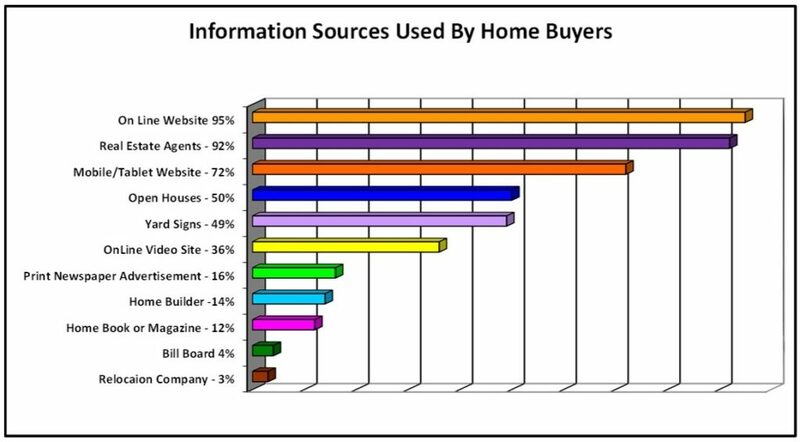 I build each marketing program specifically for their home and base it on the most current statistics of the sources buyers utilize in finding a home. Every good marketing program starts with the internet based Sunshine MLS. It makes your listing available to over 12,500 agents in the Naples, Bonita Springs, Marco Island and Fort Myers area and is the engine that feeds virtually all of the other internet sites. All of my listings feature “creative marketing copy” as a buyer makes an emotional decision and then justifies it rationally. I utilize high resolution digital photography and a virtual tour of your home as 78% of today’s buyers will bypass listings that do not have photos and 47% will skip those without virtual tours. Too many times I see listings with poor photos and no virtual tour that languish on the market for this very reason. The Realtor is still the single most important person in selling your home. As such you can be confident that my marketing program aggressively promotes your home to all of the Realtors in the Naples Area. I start with the associates in our own office which is located in the heart of Naples´ downtown Fifth Avenue shopping area. As such we receive a tremendous amount of walk in traffic from people looking to turn their vacation into a winter paradise. This includes presenting your property to the associates in our office. That way I can provide them with the information they need to sell your home, not just basic background information. Your property will then be featured on the local broker caravan. This is a “broker open house”, which allows local agents to preview your property so that they become familiar with it and then can present it to their buyers. At the same time I also personally deliver a Promotional Flyer featuring your home to each of our Fifth Avenue associates. Next, I create a custom e-Card for your property and email it to over five thousand local real estate agents and prospects. The e-Card will contain a direct link back to your listing and enables the agent or buyer to download details, photos, directions, a printable flyer and more. You will also be able to take advantage of the Coldwell Banker worldwide referral network and the Coldwell Banker International Relocation Network. At the heart of any well-conceived marketing program is the internet. 95% of all home buyers now use the Internet in their home-search process with 71% using a tablet / smart phone. Because of this and the ongoing growth in online home searches, I feel it is critical to maximize your property´s online exposure. I begin by advertising your community on Google so that when somebody types in your community in conjunction with homes or real estate, an ad will be displayed directing them to my site. Barry4Homes.net – Your property will be featured on My Featured Listings pages and will include a photo and links to your property’s details, additional photos, map, a high-quality printable flyer and additional details about your community. Sunshinemls.com – The greater Naples area Multiple Listing Service (MLS) that is available to over 12,500 agents. Realtor.com – The top national/international real estate site used for home searches. ColdwellBankerPreviews.com – The Coldwell Banker National and International site for luxury homes. FloridaMoves.com – Coldwell Banker´s FloridaMoves.com is the number one site in state of Florida. Naplesnews.com – Features the real estate and open houses advertised in the Naples Daily news. LuxuryHomesNetwork.com – an online resources featuring luxury homes worldwide. It is also important to point out that Coldwell Banker’s routes all leads directly to me from the four most important web sites. This allows me to present your property and all it provides to the prospect and continue to follow-up on an ongoing basis. Where allowed, I utilize distinctive yard signs along with literature boxes to promote your home. All calls are routed directly to me so that I can present all of feature and amenities of your home and follow-up with those interested. Print advertising is a key element in a resort destination such as Naples. All of our properties are advertised in the Naples Daily News and monthly in various real estate magazines. I also create a high quality Just Listed Postcard for each of my clients featuring their home and have it professionally printed and mailed out to hundreds of prospects within your community. With your permission, I will hold your home open on weekends from 1-4. However, I do not stop there. I advertise it on four websites and send out a mailing to all of your neighbors as 10% of all buyers find their home through friends and neighbors. This is especially important in areas such as Naples and Bonita Springs where people from the same town tend to move into the same communities. Where most realtors rely on a single page flyer I create a custom brochure that markets your home, your community and the area. My objective is to create a lasting impression that differentiates your home from those that it will be competing with. Each month I receive dozens of e-mails from other Realtors where their customers are offering various types of incentives to the selling agent, i.e. additional commissions and bonuses. My recommendation is to price to sell and only if necessary offer additional considerations to the buyer such as payment of closing costs, home warranties, club memberships, HOA fees, etc. After all, the person making the decision is the buyer, not the agent. Give me a call when you are ready to sell your home. I will leave no stone unturned as you can see from my comprehensive marketing program.